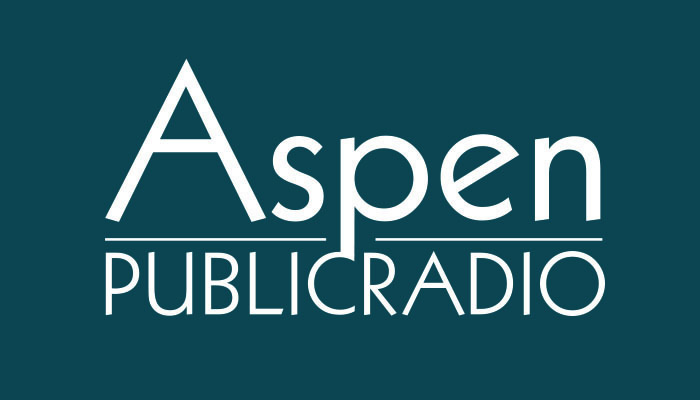 Mission Statement of Aspen Public Radio: To support, nourish, and enrich our community by providing informative, entertaining and educational radio and digital programming in a reliable and professional manner. Aspen Public Radio, broadcasting on KAJX, Aspen and KCJX, Carbondale, is a public radio station located in Aspen, Colorado. It serves communities in the Roaring Fork, Crystal, Colorado, Frying Pan and Eagle River valleys. The station is located in the Red Brick Center for the Arts and its public file is open for inspection during regular business hours at 110 E. Hallam Street, Suite 134, Aspen, CO. The station is run by Roaring Fork Public Radio, Inc., a 501(c)(3) corporation (tax ID # 84 - 0884901). New members of the board of directors are elected by a majority vote of the current Board of Directors. All Aspen Public Radio's Board of Directors meetings are held at 3pm in the Red Brick Conference Room, and are open to the public. A minimum contribution of $60 is required for annual membership. A station audit is conducted each spring by Reese, Henry and Company. The audited financials are available below or may be viewed at the station during regular business hours. Aspen Public Radio provides full local news broadcasts each weekday morning during Morning Edition at 6:04, 7:04, 8:04 and 9:04. Local news headlines may be heard weekday mornings at 6:33, 7:33 and 8:33. Local ski and river reports air seasonally at :20 past the hour during Morning Edition. The station also features national news and culture affairs programming from National Public Radio, Public Radio International, American Public Media and the BBC. Locally-produced music programs include jazz, bluegrass, blues, soul, world and oldies music air throughout the week. The station is proud to be the official voice of the Aspen Music Festival and School. Classical Music from Aspen airs weekday afternoons throughout the year from 1 until 3, and during the Festival season highlights exclusive interviews and recordings of AMFS artists. The station also broadcasts Festival Notes each morning at 8:59 and 9:59 during the Festival. Live broadcasts may also be heard throughout the year from the Aspen Institute, Aspen Writers' Foundation and Jazz Aspen Snowmass. Aspen Public Radio has a Citizens' Advisory Board that is in compliance with the requirements of the Corporation for Public Broadcasting and the Communications Act of 1934. The purpose of the advisory board is to provide a vehicle for effective community input to the station's governing body about station programming, community service and impact on the community from the station's major policy decisions. The law segregates the management and operational functions of the governing board from the functions of the advisory board to ensure a clear demarcation between the governing board and the advisory board. The composition of the community advisory board must reflect its independent role, and may not include members of the station staff or governing body in anything other than ex officio or administrative capacity. The Citizens' Advisory Board meets quarterly and makes an annual report to the Board of Directors at the annual meeting in June. Click here for a list of current members. If you are interested in serving on the CAB, please contact executive director Tammy Terwelp. Aspen Public Radio is a member of the Rocky Mountain Community Radio Coalition (RMCR), Aspen Chamber Resort Association, Basalt Chamber of Commerce, Carbondale Chamber of Commerce, and National Public Radio.